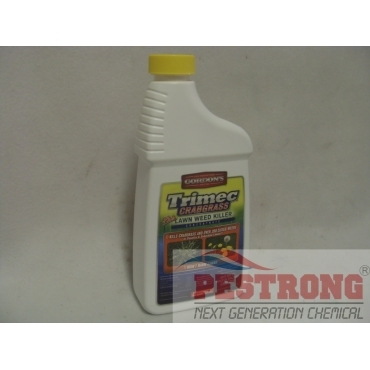 Where to Buy Trimec Crabgrass Plus Lawn Weed Killer Concentrate, Trimec Crabgrass Plus Lawn Weed Killer Herbicide - Qt - $18.95 for Sale with Fast Free Shipping! Trimec Crabgrass Plus Lawn Weed Killer Herbicide - Qt is three way for broadleaf weed plus quinclorac for crabgrass weed. Trimec Classic Broadleaf Herbicide - 1 -.. Selective post-emergent control of crabgrass, yellow nutsedge, goosegrass, dallisgrass and broadleaf weeds. Excellent selection for controlling clovers. For use on bluegrass, fescue, zoysiagrass, ryegrass and bermudagrass turf. Equal or better control replace MSMA. Controls hard-to-kill broadleaf weeds such as clover, oxalis and spurge. Tested and recommended by numerous university turf researchers. Research has proven out-performs same ingredient tank-mixes. Trimec worked incredibly on my weeds!!! Since I have about 4300 sq. ft. of lawn space, one quart was enough for the job. It really doesn't get much cheaper than this for the quality that this herbicide brings. Very satisfied! Good crabgrass killer and good for the wallet too. Great price for the effect. I have used trimec with good results and trimec for the DIY guy that wants the crabgrass and hard to kill weeds gone. it worked. be sure to use a surfactant.